24 inch high approx. 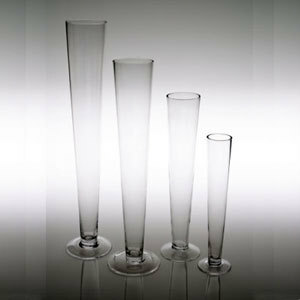 4 inches wide Beautiful elegant clear trumpet vase ideal for weddings or special occasions. Tall enough not to block the view of guest. I have a total of 14 available for rental.